March 16th, 2019. There will be a late fee of $25 per rider after March 16th. Entry Fee covers your meal on Friday night (extra meal tickets $12). Camping: $20 per night We offer limited camping sites with power and water hook-ups. These will be Reserved on a first to call basis. 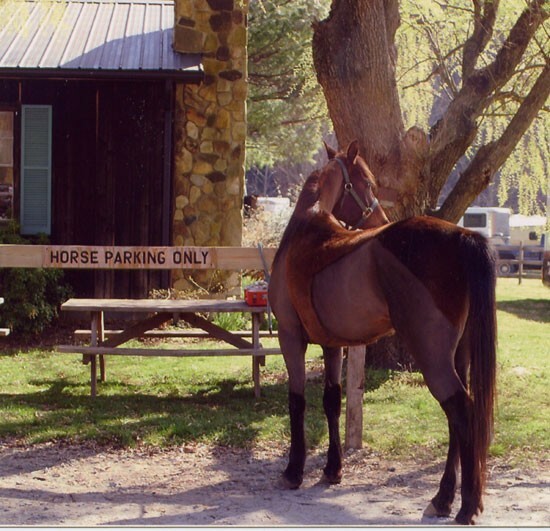 No horses will be allowed to spend the night in the campground. If you wish to camp with your horse you will use a designated area with primitive sites each site is $20 & includes space for 1 equine, $5 for each additional equine. Showers and rest room facilities are available. Fires must be contained in fire pits. Stalls: $20 per night We offer fully equipped 12×12 inside and open air stalls. 1 bag of shaving is provided. If you require large quantities of bedding bring your own. Pets: All dogs must be kept on a leash. This is a resort rule. Cabins: Make it a vacation! Wouldn’t you like to sit in a hot tub after the ride? Luxury rental cabins are available. 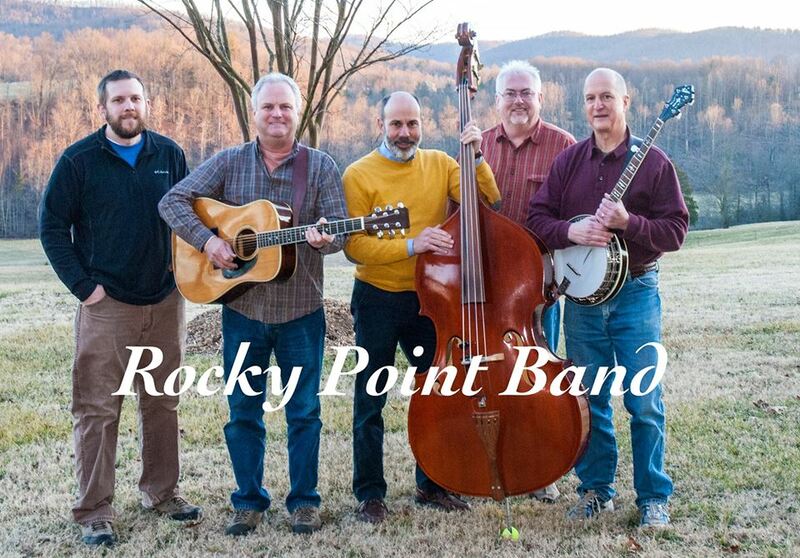 Check them out on the web at www.LeatherwoodMountains.com or call 800-4NC-MTNS for more information. Trail: The trail consists of long climbs on woodsy paths, logging roads, creek crossings, gravel roads and minimal traffic or paved road travel. Horses should be shod and breast collars are recommended. ALL VET CHECKS ARE IN CAMP. Food: Friday night dinner will be provided for riders at 6:30 PM. Non rider meals are available at $12 per person. Saturday night dinner will be on your own. Saddlebrook Restaurant will also be serving breakfast, lunch, and dinner & offering ride specials throughout the weekend. Awards: Completion awards for all riders. Top Ten, BC, and First to Finish awards for the 25&50. Rules: All AERC / SERA rules apply. Equines must be a minimum of 48 months old to compete in the 25 and 60 months old to compete in the 50. No juniors on stallions. PROTECTIVE HEAD GEAR IS REQUIRED. Water: Well water and creek water is plentiful. Registration – Noon / Vet-in: Friday at 3pm. Head vet: Otis Schmitt DVM. Negative Coggins and AERC card required at check-in. From I-77 take exit 73-B Hwy. 421 North towards Wilkesboro. Go approximately 20 miles on Hwy. 421. VERY IMPORTANT!!! Take the Wilkes Community College / Hwy. 268 exit #286 B. Go left at the light and stay on 268 for 15 miles. Take a right on Elk Creek road. Leatherwood is 6 miles out on the right. Take the second Leatherwood entrance. From Atlanta: Take I-85 north to Gastonia NC. Take the Hwy. 321 exit, at the light take a left on Hwy. 321 north. Stay on 321 until you get to Lenoir. In Lenoir take a right on Hwy. 18 north. Go 9 miles and take a left on Grandin road. Stay on Grandin road 6 miles until it dead-ends into hwy. 268. Take a right on 268 and go 2 miles. Take a left on Elk Creek road. Leatherwood is 6 miles on the right. Take the second Leatherwood entrance. 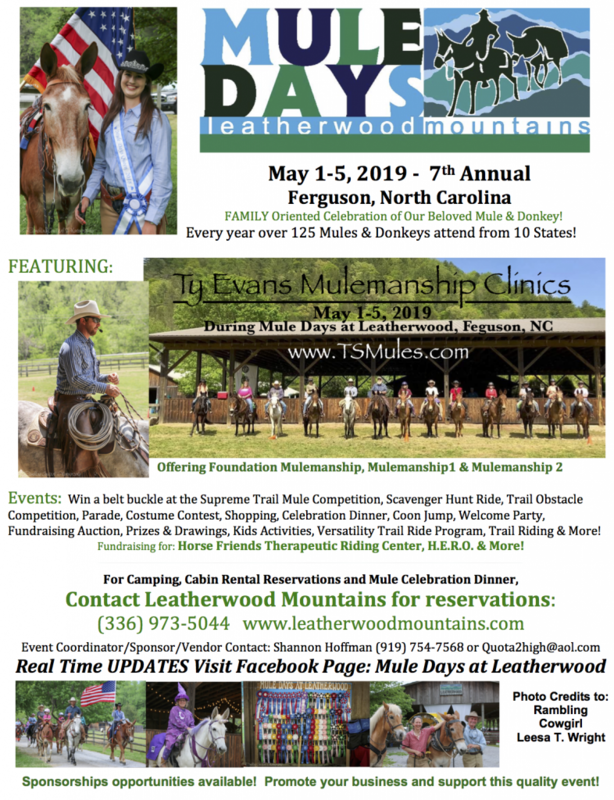 Make checks payable to Leatherwood Mountains & mail to Ride Secretary. WARNING – UNDER NORTH CAROLINA LAW, AN EQUINE ACTIVITY SPONSOR OR EQUINE PROFESSIONAL IS NOT LIABLE FOR ANY INJURY TO OR THE DEATH OF A PARTICIPANT IN EQUINE ACTIVITIES RESULTING EXCLUSIVELY FROM THE INHERENT RISKS OF EQUINE ACTIVITIES. CHAPTER 99 OF THE NORTH CAROLINA GENERAL STATUTES. I, undersigned. For myself, and members of my family or group including minor children, hearby to release Leatherwood from any and all liability they may incur due to my (our) presence and our horses presence at Leatherwood and/or the use of any of their facilities and/or equipment and/or property including real estate and trails. I realize and understand and am knowledgeable about the many and various danger and the potentials for accidents, injuries and damages associated with horse and horse facilities. I agree to assume the risk of all these dangers and all matters of liability relating to the horse facilities of Leatherwood including all associated activities. I specifically and totally release Leatherwood forever from such liabilities regardless of how such liability may arise. I agree not to bring any type of claim or legal action against Leatherwood for any such occurrences and to hold Leatherwood harmless from any and all expenses or damages arising therefrom. Further, I agree to use all facilities and/or equipment and/or equipment and/or property including real estate and trails of Leatherwood only in a reasonable and careful manner. I accept full responsibility for all harm or damage that may be caused, if any, to said facilities and/or equipment and/or equipment and/or property including real estate and trails and I shall hold Leatherwood harmless from any and all expenses or damages that may arise from a breach of this Agreement. As used herein “Leatherwood” shall include Leatherwood Rentals, Inc., Mountain Resource Company (a NC corporation), Leatherwood Home and Land Sales LLC, Horse Trail Rides LLC, Phil & Phil LLC, Leatherwood Mountains Property Owners Association, Snotsteep LLC, AHP Development, all owners, managers, agents, employees or anyone affiliated with Leatherwood and/or their activities. As used herein “I” or “Undersigned” shall include my family members, my guests and invitees and my minor children.